The recent economic recession, and staggering increases in health care costs have left millions of Americans facing incredible losses and mounting debt in their final years. Are you concerned that, rather than inheriting wealth from your parents, you will instead inherit bills? The good news is, you probably won’t have to pay them. As you are dealing with the emotional loss, while also wrapping up your loved one’s affairs and closing the estate, the last thing you need to worry about is whether you will be on the hook for the debts your parents leave behind. Generally, heirs are not responsible for their parents’ outstanding bills. Creditors can go after the assets within the estate in an effort to satisfy the debt, but they cannot come after you personally. Nevertheless, assets within the estate may have to be sold to cover the decedent’s debts, or to provide for the living expenses of a surviving spouse or other dependents. Heirs are not responsible for a decedent’s unsecured debts, such as credit cards, medical bills or personal loans, and many of these go unpaid or are settled for pennies on the dollar. However, there are some circumstances in which you may share liability for an unsecured debt, and therefore are fully responsible for future payments. For example, if you were a co-signer on a loan with the decedent, or if you were a joint account holder, you will bear ultimate financial responsibility for the debt. Unsecured debts which were solely held by the deceased parent do not require you to reach into your own pocket to satisfy the outstanding obligation. Regardless, many aggressive collection agencies continue to pursue collection even after death, often implying that you are ultimately responsible to repay your loved one’s debts, or that you are morally obligated to do so. Both of these assertions are entirely untrue. Secured debts, on the other hand, must be repaid or the lender can repossess the underlying asset. 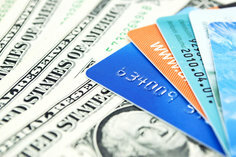 Common secured debts include home mortgages and vehicle loans. If your parents had any equity in their house or car, you should consider doing whatever is necessary to keep the payments current, so the equity is preserved until the property can be sold or transferred. But this must be weighed within the context of the overall estate. Executors and estate administrators have a duty to locate and inventory all of the decedent’s assets and debts, and must notify creditors and financial institutions of the death. Avoid making the mistake of automatically paying off all of your loved one’s bills right away. If you rush to pay off debts, without a clear picture of your parents’ overall financial situation, you run the risk of coming up short on cash, within the estate, to cover higher priority bills, such as medical expenses, funeral costs or legal fees required to settle the estate.